This is a versatile recipe, great for using up odds and ends, and is a big crowd-pleaser. 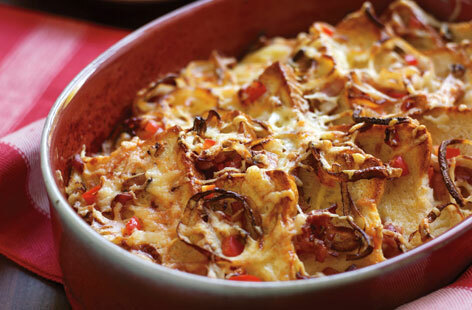 I think of it as a savoury bread and butter pudding. It’s full of all the things we love at breakfast – bacon, eggs, toast and plenty of cheese. It’s an excellent option if I’m having friends over for breakfast/brunch or week-end guests – I can do all the work the night before and bake it in the morning. 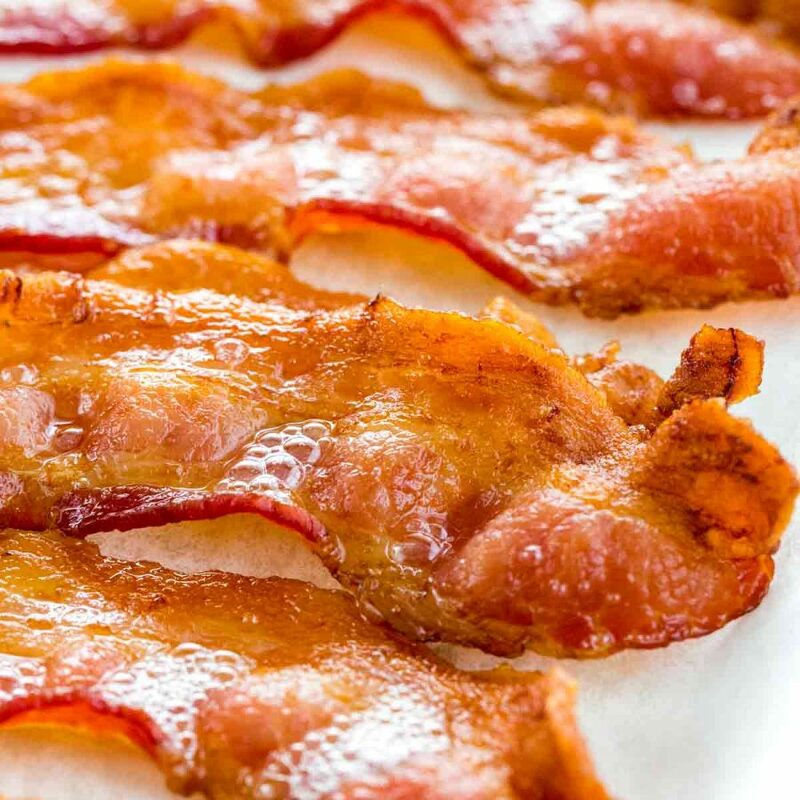 Salted maple syrup riffs on the classic American bacon-maple combination. 1. Preheat oven to 180°C/160°C fan/gas mark 4 (350°F),180C and butter a 2-litre (8 cups) baking dish. Place bread in a single layer on an oven tray and bake until light golden (3-4 minutes) or toast lightly. 2. 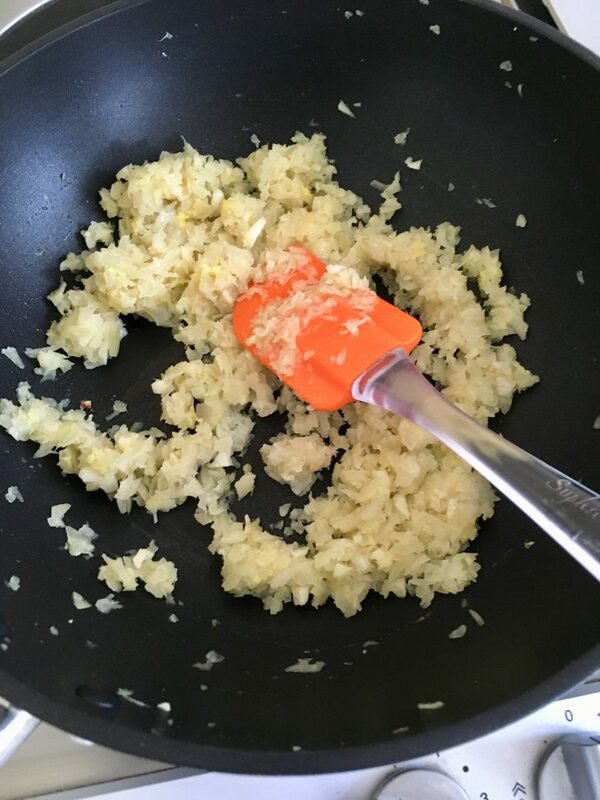 Meanwhile, melt butter in a saucepan over medium-high heat, add leek, garlic and thyme, and sauté until leek is tender and translucent (4-5 minutes). 3. Whisk crème fraîche, mustard and half the cream in a bowl until smooth. Add eggs, milk, Tabasco and remaining cream, whisk to combine, then season custard to taste. 4. Layer bread in baking dish, tucking bacon rashers in between, then scatter with Gruyère and pour custard over the top. Cover with plastic wrap and refrigerate for at least 3 hours to soak (or overnight). 5. For salted maple, boil maple syrup in a large saucepan until caramelised (2-3 minutes). Remove from heat, add butter, bourbon and 50ml (4 tbsp) water (be careful, hot caramel will spit), then return to heat and bring back to the boil. Stir in ½ tsp sea salt, then let stand at room temperature until required. Salted maple will keep in an airtight container for a week in the fridge. 6. Scatter pudding with parmesan, season to taste and bake until golden brown (1-1½ hours). Stand for 10 minutes, then scatter with flat-leaf parsley and/or thyme, and serve with salted maple and extra bacon.